It’s been another busy week! And even though it’s been getting colder, it’s been lovely to see some winter sunshine. Whilst in Holland earlier this month, I spotted these beautiful mauve pink tulips which I thought I’d share with you today. 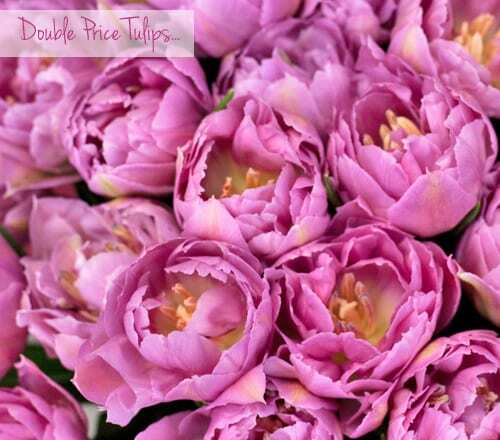 They have a very interesting name, ‘Double Price’, which refers to their double petals! Apparently, when fully open, they look a little like peonies. 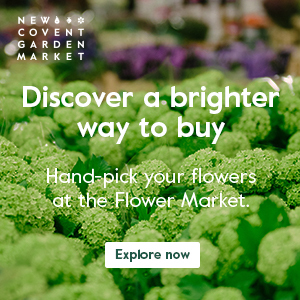 Highlights from my week include a visit to New Covent Garden Flower Market, early on Monday morning. I was there to take photos and talk to the traders for a bumper report. Do look out for it next week on their website. I also went to Bath to a special get-together of Tallulah Rose Flower School students. 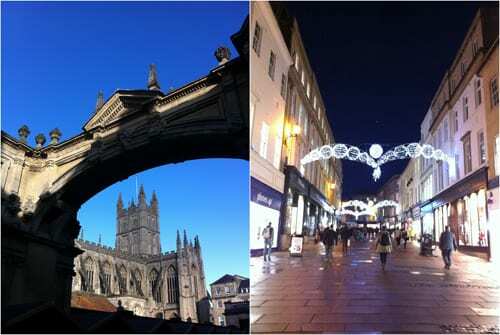 It’s such a beautiful city…by day and by night. 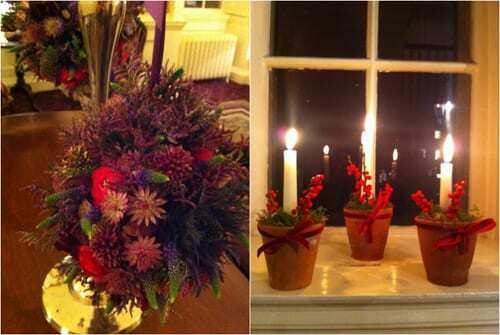 During the day some of the students had made wonderful Christmas designs to adorn the hotel in Bath…The Royal Crescent Hotel. My role was to live ‘blog’ about the evening. So with two iPhones, a mini iPad and a laptop (! ), I tweeted, Facebooked and Instagrammed to the flower school’s and my followers. 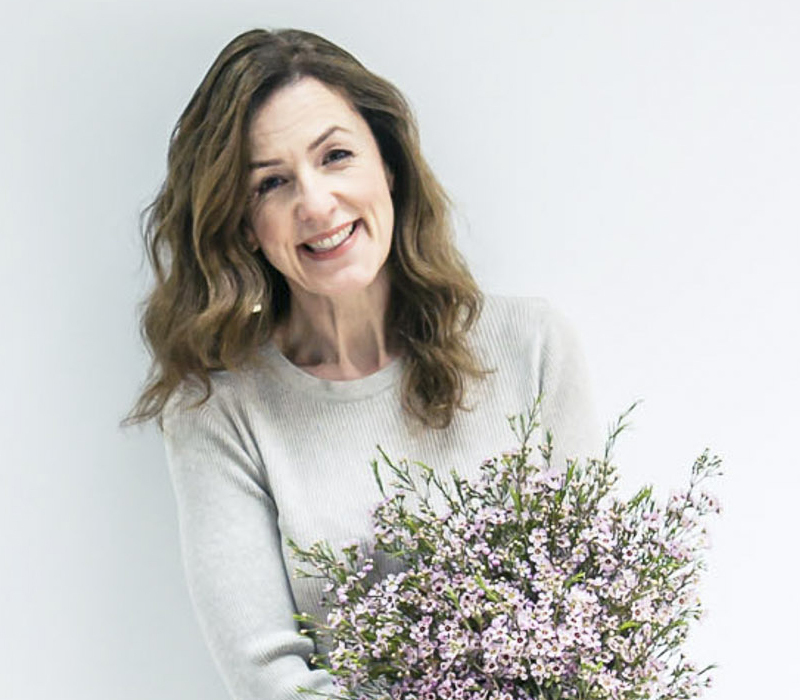 There was such a fantastic response online and it was lovely to make people feel part of the event, even though they weren’t there in person….the wonders of technology! The next day, I trained the students on ‘Social Media for Florists’ in the school’s beautiful new studio. Preparing for Christmas seems to be high on people’s agendas this week as my popular blog post was ‘Would you like to make your very own Christmas wreath?’ Thank you very much to the florists who’ve added details of courses to the post. I hope you have a lovely Saturday and I’ll be back tomorrow with Flowerona Links! P.S. I was thrilled to find out this week that the official photos from Wedding Magazine’s Blog Awards have now been published…online and in the most recent issue of the magazine. Wonderful blogs thank you Rona. Really helps me feel connected to the flower world especially living on a small island. Have a great weekend! You’re welcome Clara :). Thank you very much for your comment and messages on Facebook x.
I am a real fan of tulips and Double Price is so pretty – many thanks for the intro. I’ve just ordered three lots of bulbs (a red/orange tulip Allegretto, green ‘eyed’ narcissi and ranunculus) that will flower in succession from March to August for the garden. They are for three raised beds that I was going to grow veg in but the recycled railway sleepers ooze so much tar that I decided to try flowers. It’s very cold up here in Cumbria so keeping warm is the plan for the weekend.